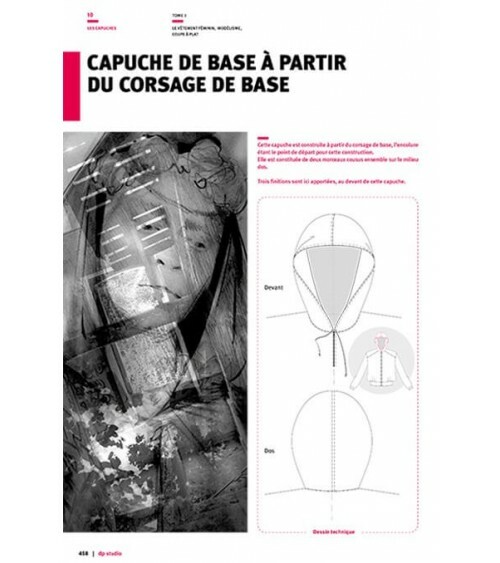 Adapting a hood to a garment often seems like a daunting operation. However, thanks to the technical files extracted from dp studio’s flat-pattern drafting method for womenswear clothing, this process will become easy. For each example or each different model, you will find a mine of information, allowing you to make the pattern of your choice with rigor and precision. The fundamentals of hood making are explained through various base patterns that you can use or transform according to your creative desires. 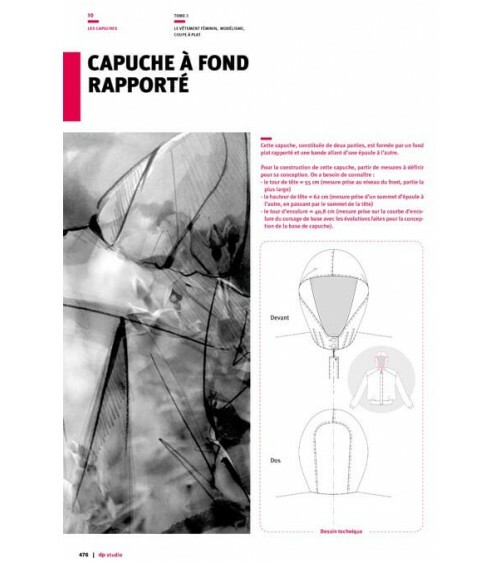 To construct your own hood pattern, we advise you to follow our technical files carefully to fully understand each important step in the making process for a beautiful finished result. 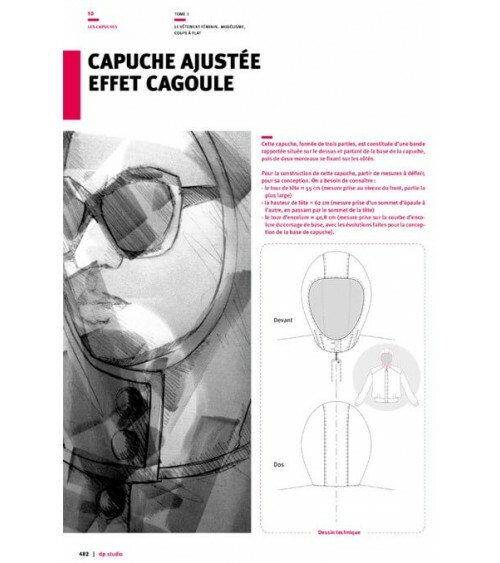 Each model illustrated corresponds to a different style, for example you can learn how to make a hood for a double-breasted garment or a balaclava-type fitted hood etc… The essentials and details of creating a hood are highlighted in these files. 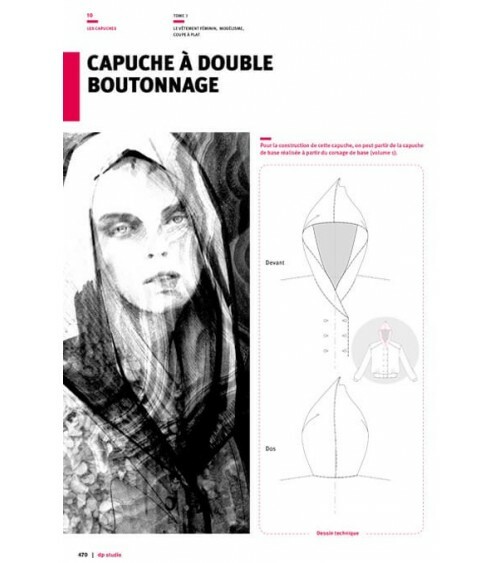 To bring you advice and answers to your design and pattern-making related questions, Dominique PELLEN has used all his experience as a designer and pattern-maker to compile a flat-pattern drafting method for womenswear clothing via his « dp studio » company. This has led to three large volumes covering the essential pieces of the female wardrobe and many technical files extracted from these books, including different hood models. The making of each example is explained in detail and can be used as illustrated or as a base to be adapted to your creative ideas.